We live in an amazing time, rife with opportunities to take full advantage of the technological advances unique to our era. And we are thrilled to present to you just such an opportunity. The YouBionic Hand is an amazing technological achievement, able to perform any motion or fine motor skill that a human hand could achieve. It’s not just an extension of the body – its precision and accuracy in design enable to become a part of the body. 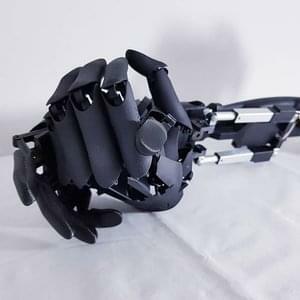 Experience the natural movement of a human limb with the 3D-printed YouBionic Hand. Gaining access to this amazing piece of technology is easier than ever. Simply download the STL file and print your YouBionic Hand at once if you want to. 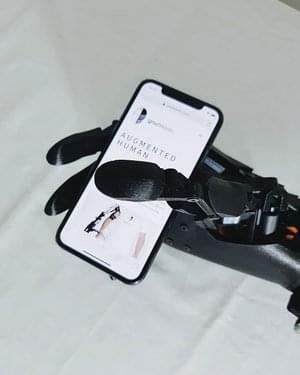 Or if you would like to modify your device and tailor its uses to your lifestyle, you can customize your YouBionic Hand before printing. Add a symbol, change the size, alter the functionality -- our files make it easy for you to get the most out of your 3D-printed YouBionic Hand however you see fit. We believe everyone should have access to the incredible technology available in our modern age. That’s why we offer this product at a very affordable price, suitable for almost any budget or financial restriction.